The term server used as a job position may apply to different professional practices in various fields of expertise. 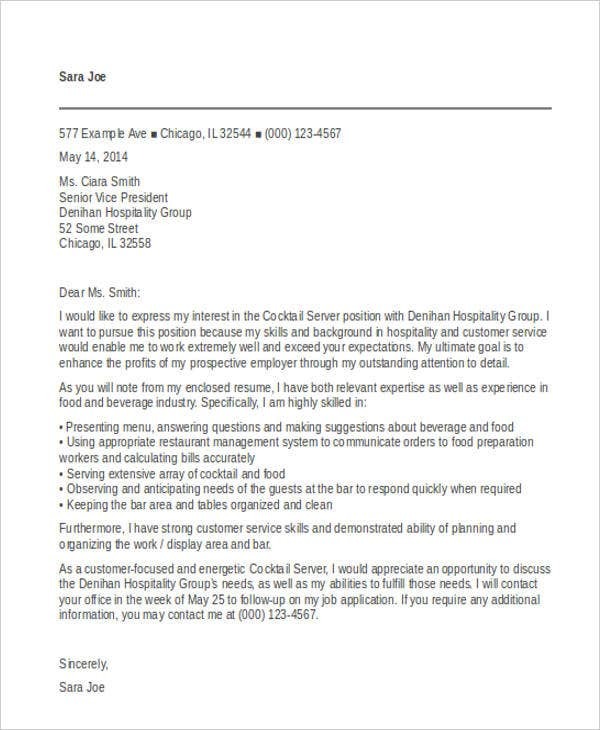 Servers are needed in the fields of engineering and hospitality. 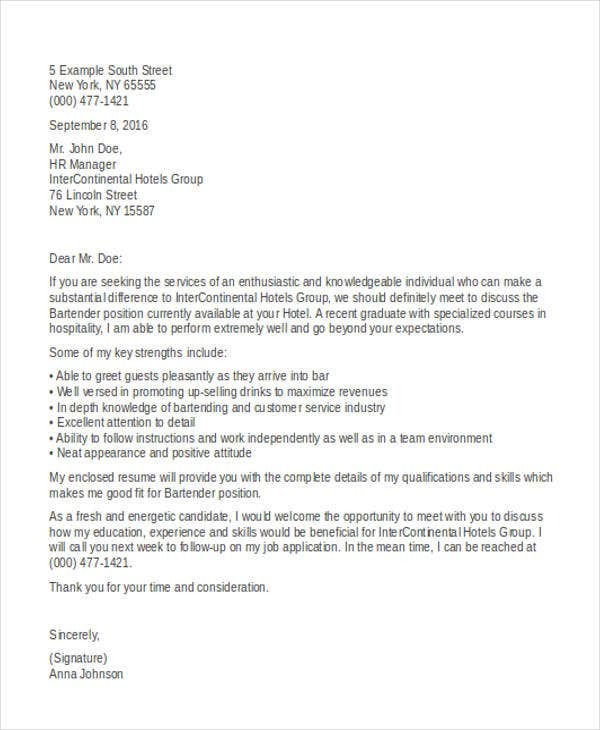 More so, there are also server job positions that are open for employment if the restaurant and information technology industry. 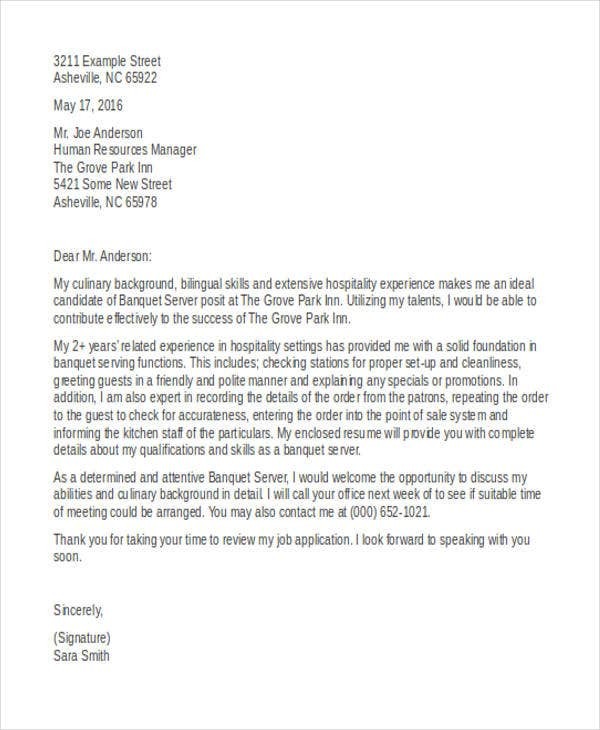 If you want to create an application letter for a server position, it is advisable for you to use a Cover Letter Template for an easier document formatting. 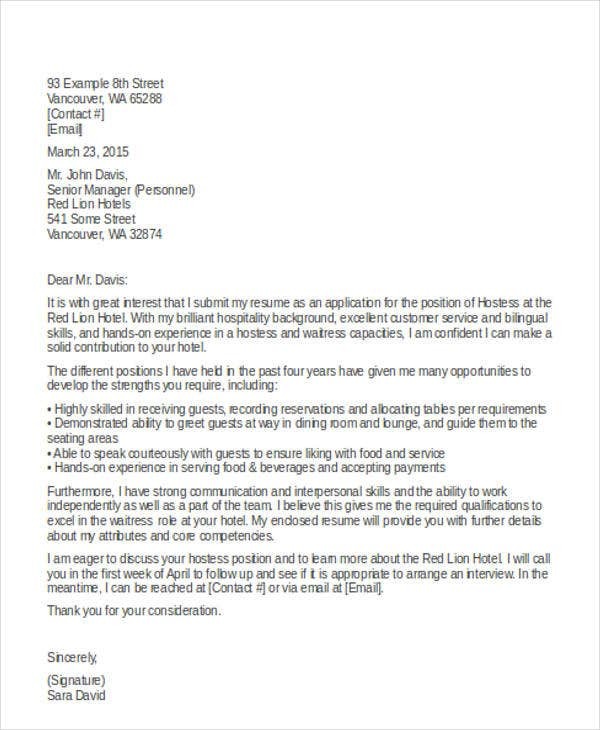 This post is a collection of downloadable server cover letter templates that you may use as references in creating the Cover Letter Format of your own server cover letter. 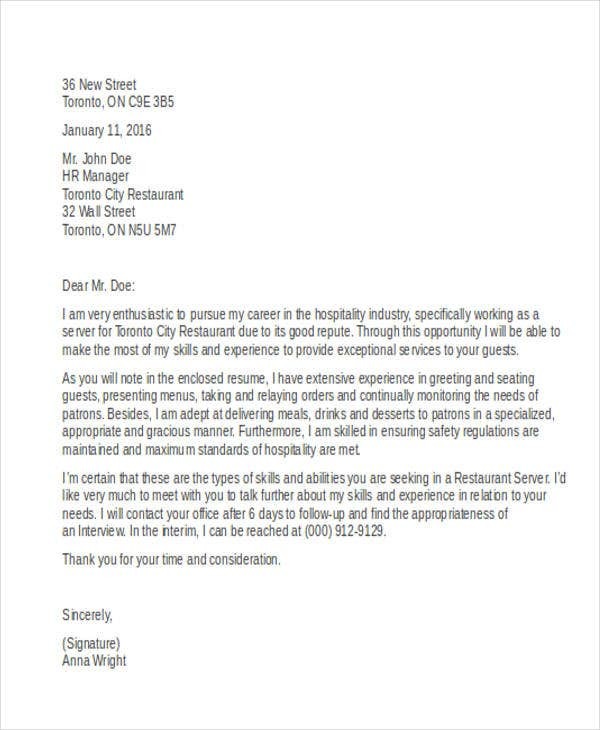 Other than our samples of server cover letter templates, you may also want to download our Employment Cover Letter Templates, Word Cover Letters, and Free Cover Letter Template samples for additional references. 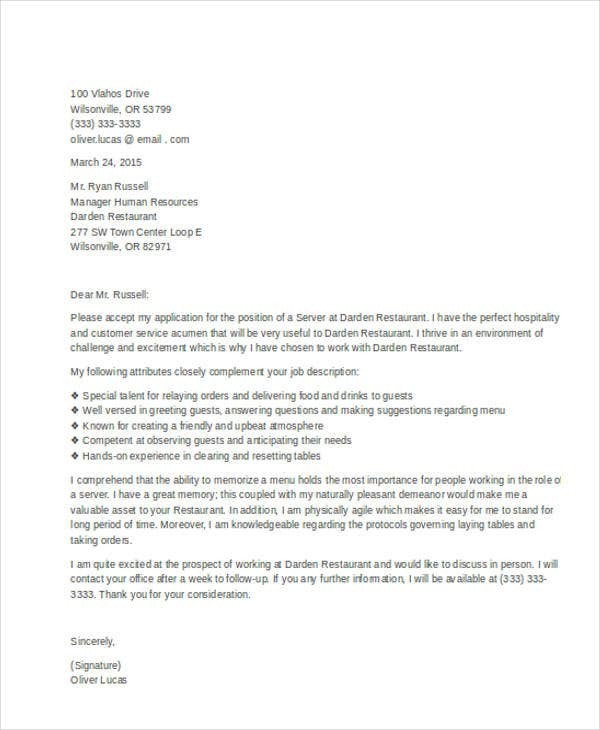 Banquet Server cover letters are used by servers who specializes in serving big gatherings and events. 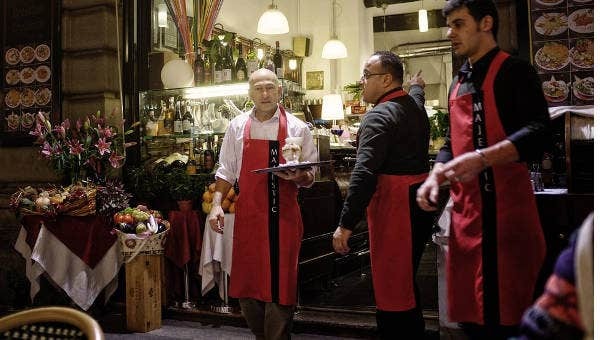 Banquet service is usually in buffet style but may vary depending on the request of the client. 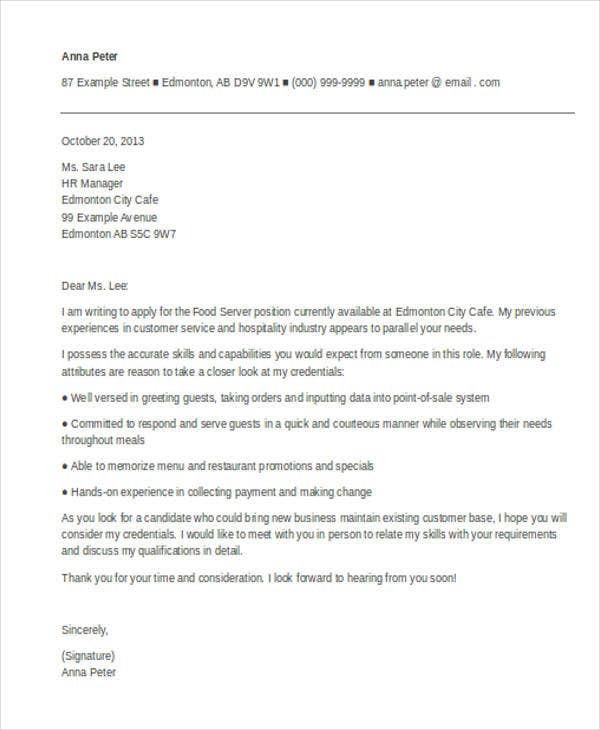 Cafe Server cover letters are used by applicants who would like to apply in a cafe as a server. 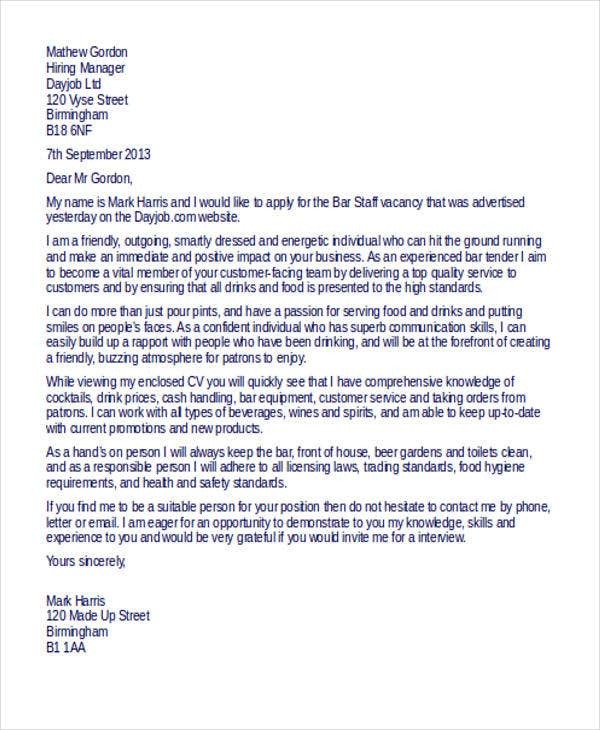 These applicants need to have prior knowledge in cafe operations especially in the type of service that they need to provide to customers. 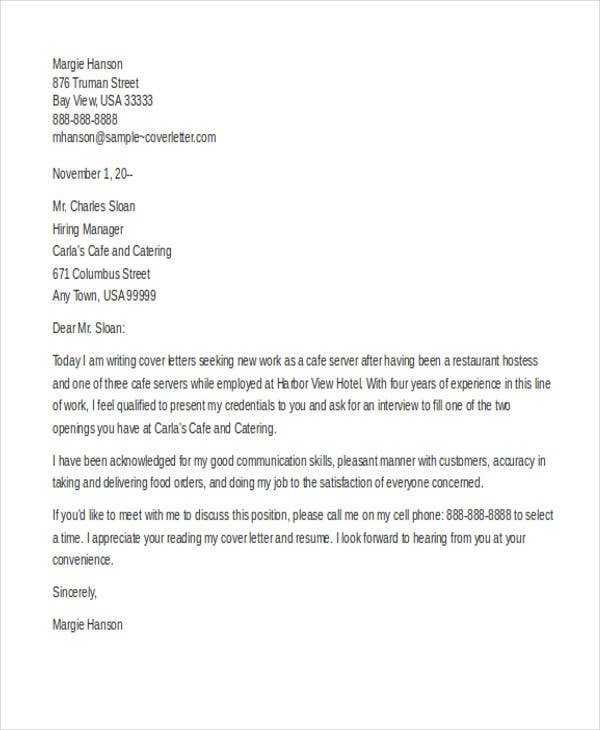 If you want to send your server cover letter via email, you may use our samples of Email Cover Letter Templates in properly formatting your letter document.